NASA’s Space Geodesy Project (SGP) was initiated in order to develop and maintain a global network of next-generation space geodetic observing instruments. The network will be comprised of core sites around the globe that utilize four primary space-geodetic techniques: Very Long Baseline Interferometry (VLBI), Satellite Laser Ranging (SLR), Doppler Orbitography by Radiopositioning Integrated on Satellite (DORIS), and the Global Navigation Satellite System (GNSS). Ongoing deployments of these instruments with next-generation measurement capabilities have been underway since 2011. UNAVCO’s contribution to the SGP involves engineering support for the construction of GNSS infrastructure at selected core sites. 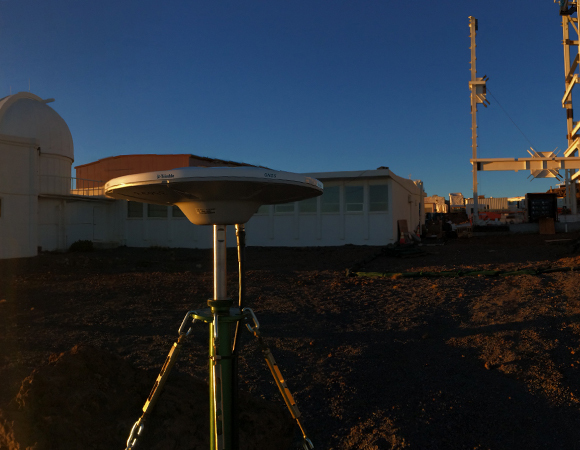 To date, UNAVCO has installed one new permanent GNSS monument and five new GNSS antennas on existing infrastructure at SGP sites at the Haleakala Observatory, Maui and the Kokee Park Geophysical Observatory, Kauai, Hawaii. Additionally, UNAVCO has plans to install an additional five permanent stations at the McDonald Observatory at Fort Davis, Texas, another core SGP site. The SGP will rely on the GNSS at each core site to provide baseline vector ties between the different co-located instruments of each space-geodetic technique. The GNSS antennas at the Texas site will be mounted on deep drilled braced monuments (DDBM), with the exception of one short drilled braced monument (SDBM). The antenna monuments at both Hawaiian locations are a mix of roof-mounts, pre-existing steel towers, and other custom designed adapters. Space and viable locations at each island observatory are limited, and permitting for standard SDBM and deep drilled braced DDBM monuments is expensive and time consuming. By utilizing alternative designs where appropriate, UNAVCO has been able to stay within budget and meet locational requirements, while still constructing stable antenna monuments in a timely manner. The SGP arose as a response to the 2010 Earth Science Decadal and the National Research Council study "Precise Geodetic Infrastructure,” which defined new requirements for maintaining a high-precision International Terrestrial Reference Frame (ITRF). The ITRF is determined by the geodetic observations made from VLBI, SLR, GNSS, and DORIS instruments, and is the foundation for virtually all other Earth observations and georeferenced data used by society. It is fundamental for spacecraft tracking, as well as terrestrial, airborne, and maritime navigation. Additionally, the ITRF is critical for measurements of the deformation of Earth’s surface. By allowing the connection of these measurements made at the same places at different times, the ITRF enables understanding of global, regional and local change. The scientific disciplines that rely on capturing and understanding these dynamics are many, and include areas of study such as changing sea levels, earthquake early warning systems, volcano deformation, flooding patterns, and glacier dynamics. Three out of four stages of UNAVCO field work for the SGP have been completed to date. The first stage of work involved reconnaissance missions to both Maui and Kauai as well as to Texas to meet with other SGP collaborators. The locations for new VLBI, GNSS, SLR, and DORIS instruments required careful consideration; the GNSS antenna monuments must have line of sight to the VLBI and SLR infrastructure for surveying purposes (important for instrument location validation). Additionally, the GNSS electronics will share power and network connections with some of these other instruments within close proximity. The second and third stages involved the installation of three new GNSS antennas on Kauai as well as two new antennas and one new SDBM monument on Maui. 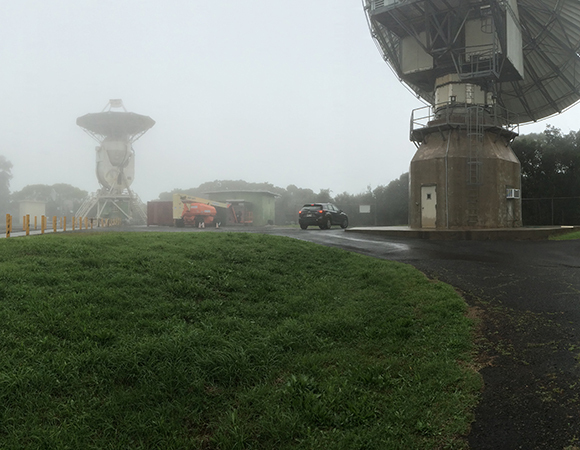 The two locations will effectively act as one single SGP site, with the VLBI on Kauai and the SLR on Maui. The geographical constraints and pre-existing infrastructure at each island observatory are such that it is more economical and efficient to keep the VLBI and SLR hardware separated, and tie their locations together using the GNSS data. 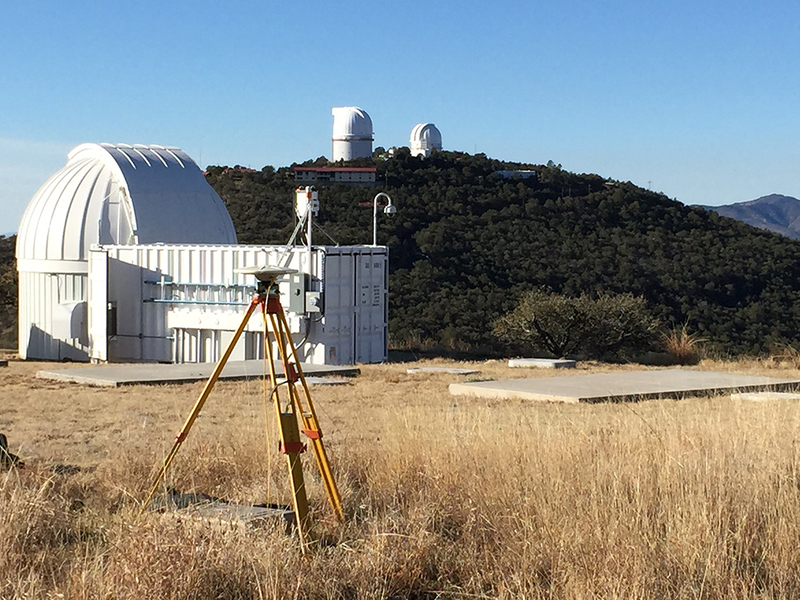 The fourth and final stage of fieldwork will involve the construction of five new GNSS monuments at the McDonald Observatory in Texas, scheduled for later in 2017. Three UNAVCO engineers and a team of professional drillers will travel to the observatory to complete the work in the course of one week.